Sababa Beachaway is a co-ed residential summer camp for rising fifth through twelfth graders, located in beautiful Virginia Beach. Sababa immerses campers in the magic and majesty of the beach, adds the right amount of spiritual practice, and provides a fun, non-competitive yet challenging camp experience! Our two-week sessions invite campers to escape the grind in order to ride the wave, catch the wind, explore the sea, and capture the moment. Whether on a surfboard, in a sailboat, behind a camera, or under the sea, Sababa campers learn exhilarating new skills, build lifelong relationships, grow a stronger sense of self, and stoke an innate spiritual flame. Life at Sababa is centered around three core aspects... Specialties, Electives, and Sababa Time. 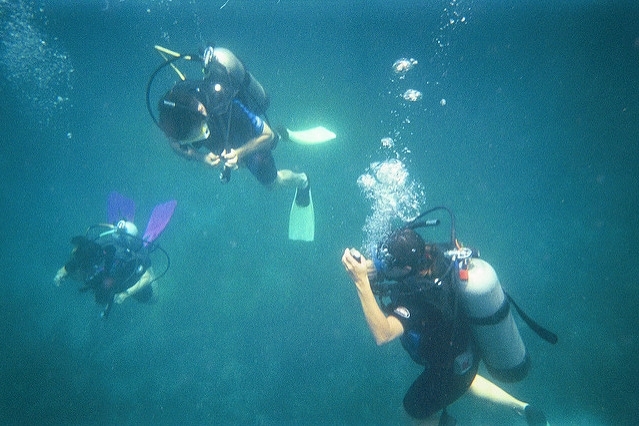 Our specialties are SCUBA, Surfing, Sailing, and Seaside Media. They are chosen during registration for each session, before campers arrive to Sababa Beachaway. We encourage our participants to see their specialty as a medium and metaphor to inspire a more enthusiastic, spiritual, mindful, and passionate life. Electives are chosen each day and include things like, sports, music, yoga, cooking, fishing, and more. Finally, Sababa Time is the inbetween time and what make Sababa special. It includes bonfires, team building, and structured relaxation activities that build the tradition, mood, and energy of SABABA! It is this intentional time that best friends are made, community is established, and lifelong memories are created. Where the city meets the sea. Campers will live in modern college dorms with camp staff on each floor. Every room is equipped with heating and air conditioning, desks, beds, and dressers, with laundry facilities in each building. You will feel right at home at ODU. We will eat delicious, nutritious, kosher food on campus and pack picnics or barbeques for the beach. Live the life. Campers will hop on a bus each morning and head to Virginia Beach’s Most Serene Shore. The beach will be the classroom for activities, prayer, community, and culture. The beach offers an abundance of beauty, adventure, and breathtaking scenery on the East Coast.